Do you remember the first time you probably started filling-up your very first coin bank? Most of us grew up being taught that we must save for the rainy days. And then as you grow up, you probably shifted to saving money in the bank because you are thinking that it is smarter to do it that way. Currently the savings interest rate in banks here in the Philippines ranges around 0.5%. Perhaps no one would really get rich simply by saving money. A person can get rich only if he knows how to make his money work. And so you look for other ways to make that money of your work so you can have greater returns. If you don't know how to manage a business or you feel conservative as to your savings, meaning you don't want to enter into investments options with great risk of losing your money, you might want to look into the following investment and saving option offered by SSS called Flexi-Fund. 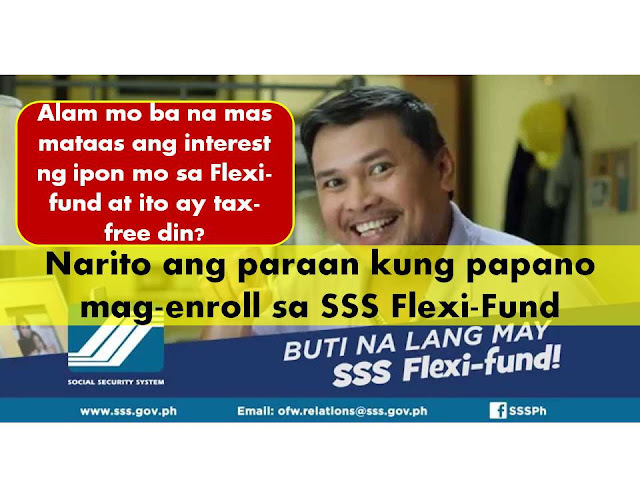 What is SSS Flexi- Fund? Flexi Fund is an investment option offered only to OFWs. Unlike in banks and other investment, the Flexi-Fund is tax free. What is the Interest Rate or How Does Your Money Grow In Flexi-Fund? There are two kinds of return for your Flexi-Fund. a. Guaranteed Benefits - interest rate based on 91 day treasury bill. Sometimes it can be less than 2%, but if compared to savings bank interest rate, which is around 0.5% it is still better. Remember that this is also variable meaning it could change. In the past years, Flexi-Fund members are getting as much as 5% interest rate or return on investment. Benefits. The amount of Flexi-fund benefit shall be the accumulated contributions plus interest earnings less management fees, to be provided tax-free. 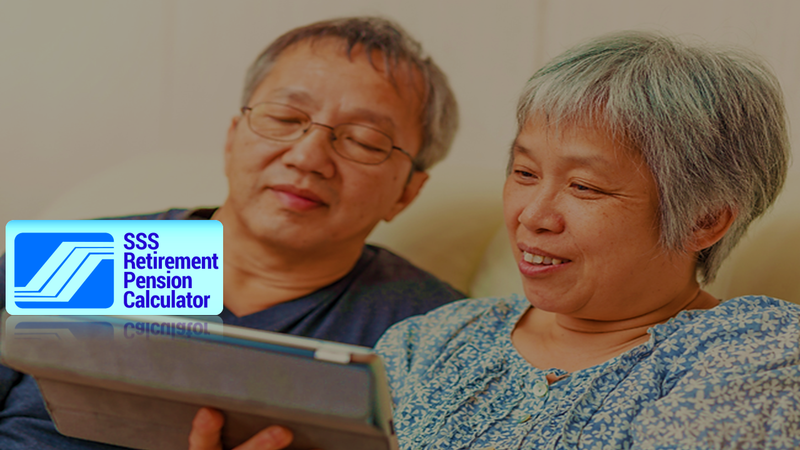 A member is entitled to receive his benefits upon retirement (i.e., has reached age 60) or in the event of total disability - either in lump sum, pension or combination. Upon death of a member/pensioner, his beneficiary/ies shall receive a lump sum equivalent to the benefit amount/cash value of the remaining pension (contingency date same as in regular program). A member may opt for early withdrawal of his Flexi-fund contributions in lump sum, including net interest earnings, anytime. Annual Incentive Benefits may be granted to members who have no benefit/withdrawal claims filed within the year. The individual AIB shall be automatically credited to the member's Flexi-fund account and shall form part of his accumulated funds. How To Apply For Flexi-Fund? You must be an active OFW -SSS member paying the maximum contribution of Php 1,760, you can enroll in the Flexi-Fund. 2. In case of local enrollment, fill up the enrollment form and submit photocopy of valid Overseas Employment Certificate (OEC) or E-receipt issued by POEA as proof of pending deployment. How Do I Pay My Flexi-Fund And How Much Should I Pay? Contributions. 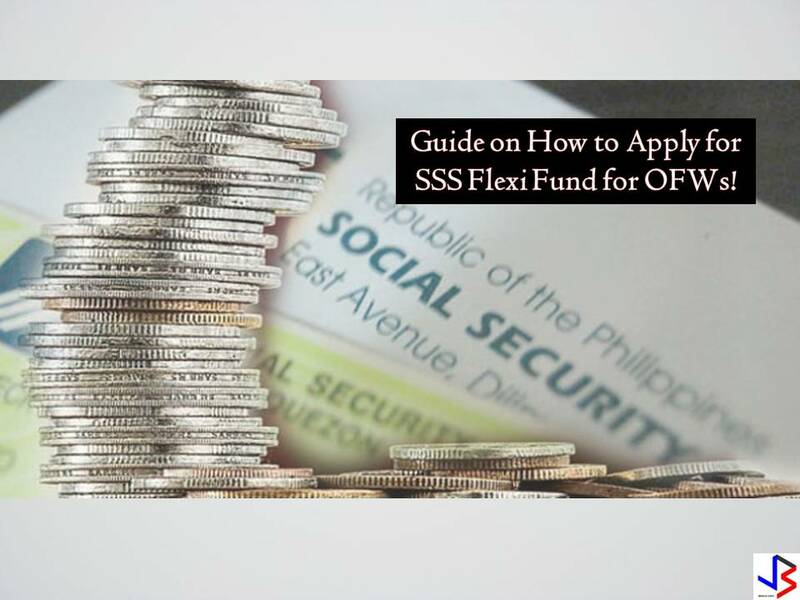 An OFW-member may pay his Flexi-fund contributions anytime, provided that, at the time of payment, he pays/has paid the maximum regular SSS contribution (Php 1,760). Any amount paid (not lower than P200) in excess of the required maximum contribution for the applicable period shall be automatically credited to the member's individual Flexi-fund account to earn interest. You can deposit as much as you want on your Flexi-Fund as part of your investment. Can I Withdraw My Flexi-Fund Before Retirement? What Happens To My Flexi-Fund After I retire? After your retirement you can apply for your SSS pension . And you can choose to withdraw all your Flexi-Fund on a lump-sum basis or opt to buy annuity or converting everything to pension. Through this, you have greater pension or money saved for your retirement. Can I Still Invest In My Flexi-Fund If I am No Longer OFW? Option to continue paying. An OFW-member may continue paying his Flexi-fund contributions even after the termination of his employment abroad, provided that he continues to pay the required maximum monthly contribution. Payment of contributions shall cease upon filing of a final claim under the regular SSS program.